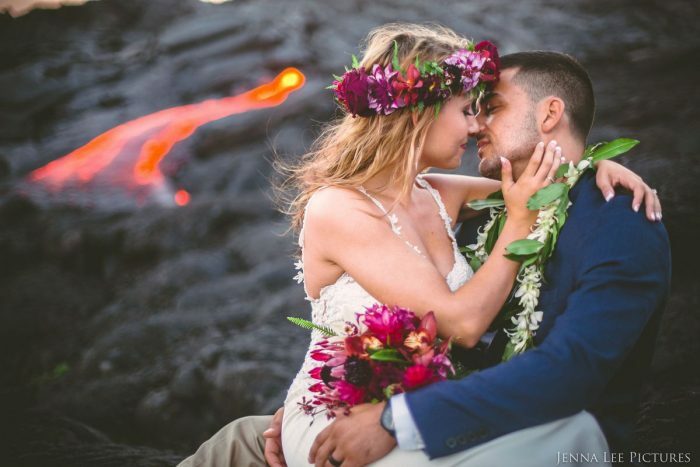 Most newly weds stick to the local park with pretty flowers and blue skies, but this couple took things to the extreme with the backdrop of an active Hawaii volcano to boot. 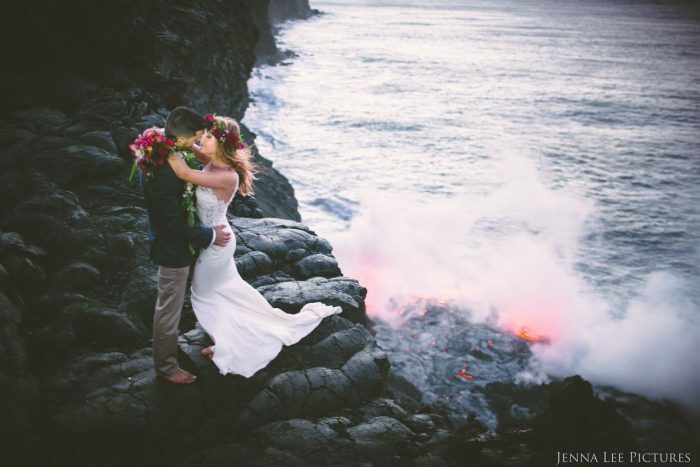 Photographer Jenna Lee captured newlyweds Lauren and Alex on Kilauea, the most active of Hawaii’s volcanoes. 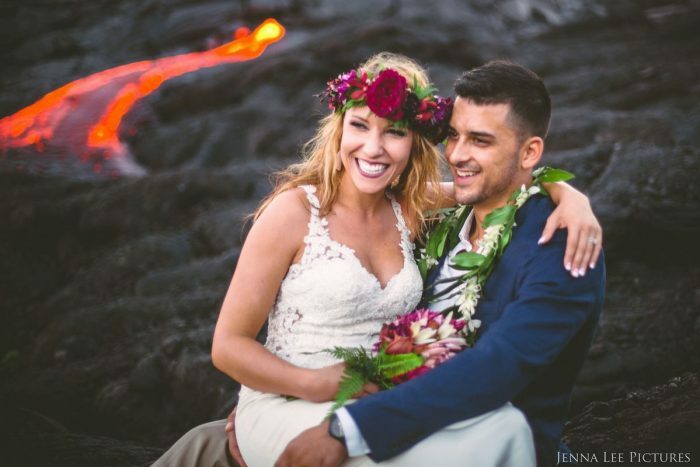 For the shoot, the three adventurers stayed at a campsite near the lava, then hiked to the volcano at sunrise. 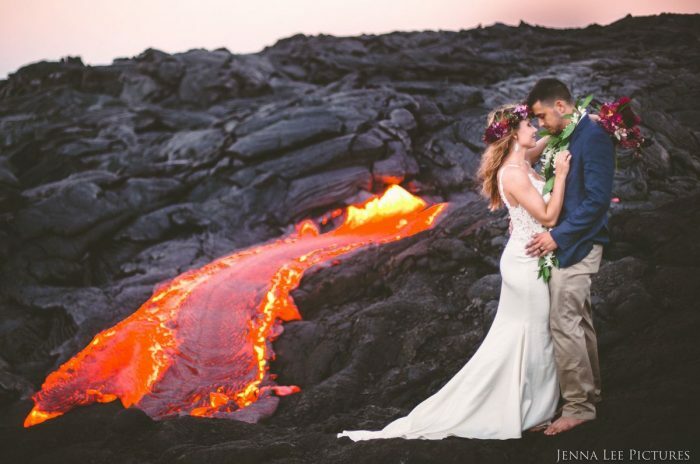 Food, head lamps, all the gear and ponchos had to be pre-packed to capture this once in a lifetime moment. 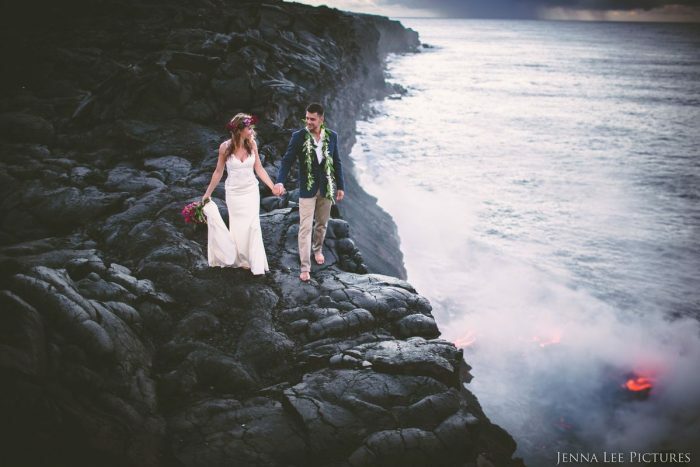 The couple went barefoot for the whole shoot, which helped determine which areas of the volcano were safe to stand on. You’ve heard of a maternity shoot, but what about a PUGternity shoot?